House prices rose by 1.9% during January - ending 10 consecutive months of price falls, Britain's biggest mortgage lender said, the increase more than offset December's 1.6% drop and left the average home costing £163,966, according to Halifax. The group stressed that it was important not to place too much emphasis on any one month's figures, but it added that there were some very early signs that market activity may be stabilising, although at quite a low level. The annual rate of house price inflation, which measures prices in the previous three months compared with the same period a year ago, remained deep in negative territory at a new record low of minus 17.2%, but a straight year-on-year comparison showed some signs of easing in the pace at which prices are falling, with the average home costing 16.4% less than it did in January last year, compared with a drop of 18.9% between December 2008 and December 2007. Martin Ellis, housing economist at Halifax, said: "It is always important not to place too much weight on any one month's figures. Historically, house prices have not moved in the same direction month after month even during a pronounced downturn. "There are some very early signs that market activity may be stabilising, albeit at quite a low level, "nonetheless, continuing pressures on incomes, rising unemployment and the negative impact of the dislocation of the financial markets on the availability of mortgage finance are expected to mean that 2009 will be a difficult year for the housing market." He added that prices were still 5.1% lower during the past three months than they had been during the previous quarter, and this measure provided a better indicator of the underlying trend. Recent anecdotal evidence suggests there has been increased activity in the housing market, as steep interest rate cuts, combined with the sharp fall in house prices seen during the past year, tempt potential buyers back. Is investing in bricks and mortar still the best way to look after your money? One couple seems to think so as a mystery couple from North Somerset paid £3 million upfront for 11 luxury apartments on a development on Bristol’s harbour side. A spokesman for the development stated that the couple seemed in a great hurry to withdraw their money from the bank and invest in a ‘safer option’, buying 11 two-bed flats. The couple, like many others concerned with the closure of many banks, now strongly believe that although the property market will take time to recover, at the end of it, they will still have their property and they will have gained an income from renting the property out. The current boom in the lettings market has meant that such developments like The Crescent building in Bristol have proved popular for investors, with Crescent already having sold 163 of their 268 apartments to buy-to-let investors. Vicky Dudbridge, of selling agents King Sturge, said "They took a broad view that, in this market, their money would be better invested in property. They deliberately chose two-bedroom apartments of different types because they felt they would offer the best chance of letting. We are almost 70 per cent sold in The Crescent building here." Ed Osborn of The Bristol Residential Lettings Co, said "The rental market remains strong and I am not surprised investors are moving their money into bricks and mortar at the moment as they will at least gain an income from their investment, which is more than can be guaranteed from the banks". 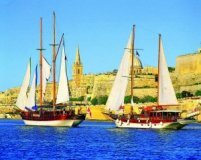 A quintet of sunny islands makes up the Republic of Malta, with its mild winters and hot summers. 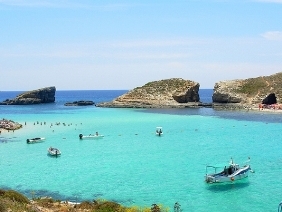 Malta, Gozo, and Comino are all inhabited--though with a mere handful of families, Comino only just qualifies. The remaining islands, Cominotto and Filfla, are for boat-trippers and seabirds. These Maltese islands take the top spot in the Climate category of our 2007 Quality of Life Index. As you know, once a year, every January, we consider nearly every nation on earth in a grueling set of nine categories. This year, our survey looks at 193 countries. And Malta has the best climate in the world. Fair weather, averaging 5.2 hours of sunshine a day--even in December. Right into November, daytime temperatures often nudge 70 degrees Fahrenheit. Spring comes early, around late February. Frost and snow are mostly unknown. There is winter rainfall, but it tends to come in heavy bursts for short periods. And, while the islands boast few sandy beaches, there are compensations: Summertime brings a round of colorful village festivals complete with fireworks. Diving and sailing are excellent. You can play golf, go horseback riding, and attend trotting races. The second-oldest theater in Europe is the Manoel Theatre, in the capital of Malta, Valletta. In the cooler months, October through May, you can see opera, theater, music, and ballet there. Don't be embarrassed if you can't pinpoint Malta on a map. It's not on everyone's radar, and mostly unheard of by Americans. Malta is anchored almost in the centre of the Mediterranean Sea, 60 miles from the Italian island of Sicily, which is linked to Malta by regular 90-minute ferry service. There is a modern airport at Luqa (on Malta) with flights to numerous other European countries. Rome is but one hour away by plane. The next closest neighbours are in North Africa, which lies less than 200 miles away. Travel west, and you arrive in Tunisia; go south from Malta, and you reach Libya. In other words, despite the Republic of Malta's island status, you won't live here like a castaway. The government is a politically stable parliamentary democracy, so you do not have to lie awake at night worrying about army coups and crazy colonels with big ideas. A president is the titular head of state, and executive power lies in the hands of the prime minister and the cabinet, whose ministers are appointed from elected members of Parliament. Headed by an attorney general, the judiciary is independent. Furthermore, this little island became a member of the E.U in 2004. Apart from the near-perfect climate, on both Malta and Gozo the living is easy and affordable. Crime hardly exists, the locals are hospitable, permanent foreign residents can take advantage of a 15% tax rate, and nobody pays property taxes. The health care is excellent. And you'll encounter no language difficulties...everybody speaks English. Malta had the lowest inflation rate amongst EU member states at the end of June, figures published by Eurostat, the statistical office of the European Communities, has shown. According to the statistics, Malta had the lowest annual rate, which measures the price change between the current month and the same month in the previous year. 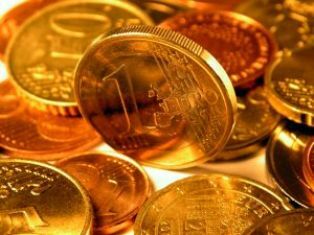 The annual rate in Malta actually dropped by 0.6 per cent, whereas in all other member states it registered an increase, with Belgium, Denmark, France and Sweden (1.3 per cent) at the lower end and Latvia (8.9 per cent) and Hungary (8.5 per cent) having the highest rates. 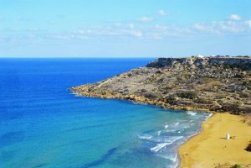 With an inflation rate of 1.1 per cent, Malta also had the lowest 12-month average up to June 2007, a figure which is less sensitive to temporary changes in prices as it compares the latest 12 months to the average of the previous 12 months. Malta was followed by Finland (1.3 per cent), France and Sweden (1.5 per cent each), while at the higher end were Latvia (7.2 per cent) and Hungary (7.1 per cent). Taking into consideration the monthly rates, inflation in Malta during June increased by 0.2 per cent over May. Figures published by the National Statistics Office show that the increase was mainly due to higher prices of fuels and higher prices in accommodation services. How does the White Paper on the Integration of EU Mortgage Credit Markets relate to the Single Market Review? Alongside the Communication on a single market for 21st century Europe, the Commission published a Staff Working Document on its forthcoming initiatives in the area of retail financial services. Building on the Commission's strategy for retail financial services outlined in the Green Paper on Retail Financial Services and taking into account the issues identified in the wealth of contributions received as part of the public consultation, the document identifies several areas where work should be undertaken to improve the competitiveness and efficiency of European retail financial services markets. Mortgage credit is identified as an area where integration is lacking and targeted initiatives could benefit both citizens and financial services providers alike. What are the Commission's objectives in the field of mortgage credit? facilitating customer mobility by ensuring that consumers wishing to change mortgage lenders are not prevented or dissuaded from doing so by the presence of either legal or unjustifiable economic barriers. Is there really a "business case" that justifies any action by the Commission? European mortgage markets are in general considered to be competitive and efficient at the national level. However, several studies have shown that the integration of EU mortgage markets would bring significant benefits to both mortgage lenders and citizens. According to a study carried out in 2005 by London Economics on behalf of the Commission, the value to the EU economy of such increased integration over the next ten years is estimated at EUR 94.6bn, which amounts to 0.89% of 2005 EU GDP. By 2015, the study estimates that integration of the EU mortgage credit market would raise EU GDP by 0.7% and private consumption by 0.5%. Another study carried out in 2003 by Mercer Oliver Wyman and the European Mortgage Federation suggests annual benefits of 0.12-0.24% of EU GDP in 2003. The estimated benefits arise in both cases from the increased efficiency of mortgage lenders and the availability of a wider range of products. Why does the Commission want to integrate mortgage markets, if the average consumer will not be shopping cross-border? The Commission acknowledges that today only a small fraction of the European population is active cross-border and indications are that this is likely to remain relatively small in the short to medium term. Integration will therefore be predominately driven through cross-border activity by mortgage lenders for the near future. Consequently, the Commission aims at facilitating the cross-border supply of mortgage credit by removing the barriers to and reducing the costs of engaging in cross-border lending. In this way, consumer should be able to choose not only from the products and services which are currently available on their home market, but also from products and services which have been designed elsewhere in the EU and are offered to the consumer by locally established firms, local agents or brokers of EU lenders, or even on a purely cross-border basis. Is the Commission proposing a Directive on mortgage credit? The Commission has not yet decided whether legislation is the most appropriate way forward to achieve the potential benefits from integration of mortgage markets. Action will only be pursued where there is evidence of clear and concrete benefits for citizens and a strong economic rationale. While the general impact assessment accompanying this Communication suggests that legislation would be for some areas the most effective policy option to achieve the set objectives, the Commission is of the view that further analysis and consultation with stakeholders must take place before a final political assessment can be made on the most appropriate way forward. It goes without saying that no Directive will be tabled if the costs of legislative measures outweigh their benefits. Stakeholders have identified the integration of EU mortgage funding markets as offering the most potential for benefits. Why do you not propose concrete actions for improving the efficiency of mortgage funding markets? On mortgage funding, the Commission plans to continue its analysis of the nature, the causes and the magnitude of the problems identified by both the Mortgage Funding Expert Group and the European Financial Markets Lawyers Group's Working Group on Securitisation. Recent developments in sub-prime markets, the complexity and the horizontal dimension of the obstacles identified, as well as the wide-ranging implications for all stakeholders all have to be given due consideration before drawing any policy conclusions. The Commission will in particular examine: mortgage lenders' incentives to move risk off balance sheet; prudential standards and the transparency of banks' exposures to securitisation transactions that are directly or indirectly related to mortgage credit; and whether further measures to improve transparency from the end investors' perspective are necessary. Why does the Commission consider early repayment as one of the most important issues for integrating EU mortgage markets if other factors such as the distance to customers, missing distributions channels, high processing cost, language problems, different consumer behaviour and finance traditions are responsible for still modest cross-border business? The existence of different national early repayment regimes has indeed been identified by the impact assessment accompanying the White Paper as one of the key obstacles to integration of mortgage markets. Unlike other identified issues, early repayment terms and conditions have not only consequences for all four Commission objectives, but impact directly on product diversity, which is identified by studies as one of the key elements for achieving the benefits of mortgage market integration. The issue of early repayment therefore cannot be ignored when attempting to design a credible policy on the integration of mortgage markets. Does the Commission intend to harmonise early repayment rules? The Commission has not yet taken a decision as to whether a legislative approach is the appropriate way forward to achieve integration of European mortgage markets. The Commission acknowledges the political sensitivity of this issue, and the complexity of finding an appropriate level of harmonisation. The Commission will carefully analyse the costs and benefits of harmonising early repayment as such and of all different options as well as explore, in particular with Member States and the European Parliament, to what extent it would be possible to reach a consensus on an adequate European regime for early repayment before making a judgement as to whether and how early repayment rules should be harmonised. How will the announced package benefit consumers? Consumers will benefit directly and indirectly from the announced measures. Many of the measures to improve the efficiency and competitiveness of cross-border mortgage lending - both on primary and secondary markets - would lead to improved product diversity and, potentially, lower prices for consumers. One study estimates that integrated mortgage markets could reduce the interest payable on a EUR 100 000 mortgage loan by as much as EUR 470 per year. Consumers should also be able to access a wider range of products due to their increased mobility through better and more comparable pre-contractual information, improved access to and appropriateness of credit data, and less product tying. With the proposals on responsible lending, consumer confidence should be maintained or even improved, by minimising the chance of consumers choosing an inappropriate product. What steps is the Commission taking to make sure that the sub-prime crisis in the US is not repeated in Europe? Many of the issues currently being discussed in the US have been under debate in the EU for several years such as pre-contractual information requirements, responsible lending practices and the regulation of credit intermediaries. The White Paper presents the Commission's intentions on these issues. However, the White Paper is not in itself an answer to the sub-prime crisis. Much more work needs to be undertaken in order to understand fully the drivers of the crisis and to react in an appropriate manner. On the issue of mortgage funding, the Commission has already organised meetings with the financial services industry, the ECB, CEBS and CESR in order to bring appropriate policy responses to the developments on the financial markets. The Commission will further monitor very closely the developments in the US sub-prime mortgage market to react, if necessary, with further action. prepare scoreboards on the costs and duration of land registration and foreclosure procedures. What is the status of a White Paper and why is it important? A White Paper sets out the Commission's policy programme in a specific area. Before a White Paper is written, a Green Paper is published, which is a consultative document including suggestions and options for new policy. While Green Papers are open for public consultation, White Papers are not, as, in principle, a White Paper is the final say. However, each single proposal for legislation announced in a White Paper or deriving from a policy initiative announced in it will be subject to one or more rounds of open consultation and impact assessment.